Village at Belmar offers a collection of remarkable living environments purposefully designed for everyday comfort. From the moment you enter the Village, you will be comforted by a sense of a home, both warm and welcoming. Our premier 9-acre senior living campus in Lakewood, Colorado, offers a variety of uniquely designed living environments combined with a remarkable variety of indoor and outdoor amenities that create an enriched life for independent living, assisted living, and memory care residents. Ease the burden of everyday stress with maintenance-free living, dining, and programs to get your mind and body moving. If you need to get around either on or off campus, you can do so with a variety of transportation services that provide residents with safety, independence, and choice. Concierge services are available for residents of The Flats independent living, making it easier to get things done when they need to be done. My favorite thing is everything. Especially the people. 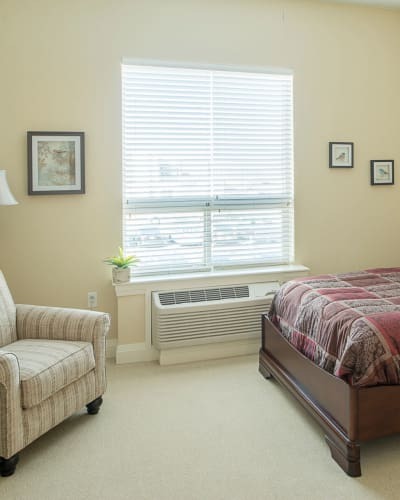 The Flats is metropolitan Denver’s preeminent independent living offering. 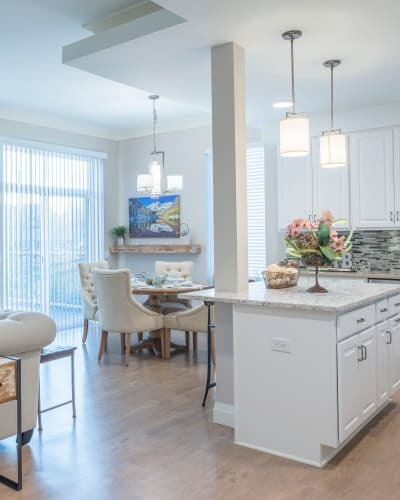 A collection of 60 luxury homes in a variety of intentionally crafted floor plans with private garages and patios or decks is ideal for those craving independence and a maintenance-free lifestyle. 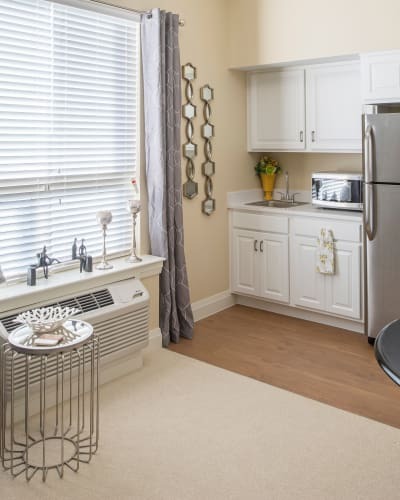 Situated within The Pavilion, The Vista offers a charming, friendly, comforting, and dignified neighborhood dedicated to supporting resident’s physical aging with specialized programming supported by our dedicated, nurturing staff. Also in The Pavilion, Monarch House Memory Care offers a charming and friendly neighborhood dedicated to supporting Denver-area seniors who have dementia, Alzheimer's, or other memory challenges. To determine the senior living option that’s right for you, contact our friendly team for more information. We look forward to meeting our newest resident at Village at Belmar in Lakewood, CO.